Kakuichi Institute is deeply interested in the leading edge science that is reevaluating what we know about water, with potential for major revolutions in energy and health. Kakuichi Institute associate Dr. Gerald Pollack has been a pioneer in this field, and has published several books on the subject that look into Exclusion Zone (EZ) water, otherwise known as structured, or fourth phase water, and the wider implications of this heretofore undiscovered property of water. See here his interview with Kakuichi Institute, and see below for a selection of studies in this promising new area of water research. It is widely known that human bodies are largely composed of water. 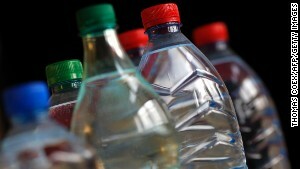 It is vital to our functions, and yet little attention is paid to the type of water we consume, or it its quality. Likewise, the type and quality of water we use to grow our food crops is largely ignored. We believe these are areas that could be revolutionised to help create a healthier world. Based on the scientific research of luminaries like Kakuichi Institute associate Dr. Gerald Pollack, we know that water has in fact 4 phases, and not just 3. Harnessing the potential of that 4th phase of water ("EZ water") may improve health, and provide a new source of renewable energy. Nanobubble technology is also an exciting new field that has the potential to improve crop yield, reverse pollution, and improve health. Despite the abundance of water, and how integral it is to our existence, the exceptional properties that water presents are yet still poorly understood, and the various means of changing the properties of water to improve it are even more poorly understood. Cymatics applied to water is another area of interest, with the possibility that it may be possible to modify the vibrational frequency of water to allow it to increase crop yield and improve health. In this deeply troubled world, it is necessary to find radical solutions to our many problems, so that we may help create a saner and healthier society, before it is too late. It is our intention to draw attention to the areas of water research that have been overlooked so that these important fields of discovery may begin being harnessed to help create a healthier world. EZ water should rehydrate tissues better than ordinary water because of its higher dipole moment... Since EZs contain masses of separated charges, or large dipoles, EZ water should hydrate cells better than ordinary water. That’s why EZ water may particularly promote good health. The principal finding of these experiments is that a transient 270-nm peak in the absorption spectrum appears during the course of melting. The melting ice eventually transitions into bulk water, but passes through a phase that absorbs at 270 nm. 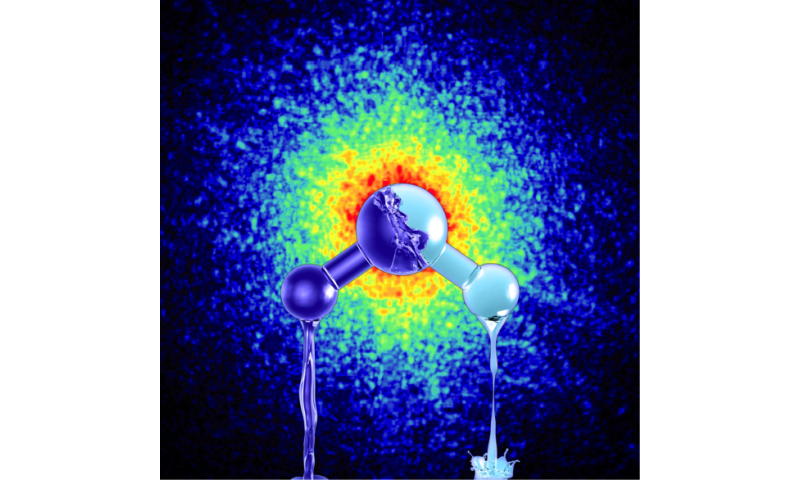 Water with an absorption peak at 270 nm is characteristic of exclusion-zone water (Zheng et al. , Chai et al.). Hence, it appears possible that melting ice passes through the EZ phase before reverting to bulk water. Here we found that exclusion zones also exist next to various metal surfaces. Among them, zinc showed the widest EZs as well as the highest surface coverage. An interesting feature of the results was that little oxidation occurred in zinc regions containing exclusion zones, while considerable oxidation was seen in regions in between those exclusion zones. Hence, it appears that the oxidation may be caused by currents flowing from the water to the zinc surface in regions between the pocket EZs. That might explain the spotty oxidation that is often seen. 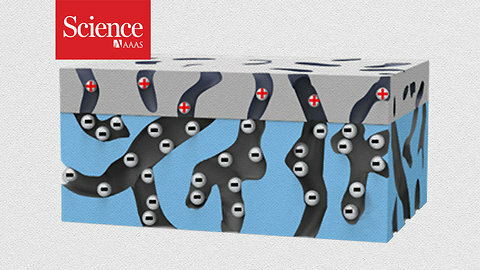 A notable feature is that this positive-negative pair constitutes a battery, in the same way that various gels and polymers show near-surface battery features. The presence of a "battery" next to various metal surfaces may have important implications for corrosion and also perhaps for catalysis. Nafion strips on a glass substrate generate EZs that can combine with other EZs as long as the distances separating the strips are less than approximately 100 micrometers. The demonstrated ability of EZs to combine implies that continuous EZs can be created by using minimal amounts of starter material spaced judiciously. This feature has direct implications for water purification technology. The results obtained here imply that separated charges in aqueous solutions may exert significant force. Such forces are unexpected. A common presumption is that large-scale separated charges do not exist in nature; or, if they do, they must act over short range only. However, the exclusion-zone phenomenon demonstrates that charges are indeed naturally separated, and that those separated charges can create substantial force. We observed sustained axial flow through tubes immersed in water... The flow appears to be associated with recently discovered interfacial phase of water, which lines the insides of the tubes. This phase of water builds from electromagnetic energy absorbed by water from the surrounding environment. That absorbed energy may power the observed flow. Particles and solutes are excluded from the vicinity of hydrophilic surfaces, leaving large microsphere-free regions known as exclusion zones (EZs)... Results showed a direct relation between bead size and EZ size over the full range of bead diameter, implying a similar relation for smaller particles or molecules, perhaps extending beyond the resolution of the light microscope. EZs are by no means constant in size. They depend on various factors, not the least of which is the characteristic dimension of the nucleating surface. Colloidal particles in suspension are excluded from the vicinity of various hydrophilic surfaces... The experimental results suggest that particle exclusion may provide a new framework for water purification from both organic and inorganic matter, as well as from harmful pathogens. Nanobubbles, aka ultrafine bubbles, are nanoscopic (<100 nm in diameter) bubbles of gas, usually oxygen or ozone, which are able to maintain their form for long periods of time in water. The means by which they are able to exist for long periods in water is still unknown, but it may be due to small ions that surround the nanobubble and allow it to be stable in water. Another interesting property of these bubbles is that unlike ordinary gas bubbles which quickly rise to the water surface, nanobubbles randomly drift in a Brownian motion allowing them to be carried by currents into the bed under a body of water, aerating and rejuvenating areas of ocean water that have been desertified. Agriculture: injecting billions of microscopic bubbles into water used to irrigate organic tomatoes and strawberries results in an average 10%-20% increase in yields of larger, more robust fruit compared to those grown with tap water . Also, "used on crops, water with ultrafine bubbles can accelerate activities of soil microorganisms, which encourage growth of plant roots and speed up nutrient absorption." . Pollution reversal in bodies of water . Medical: potential strong effects on killing cancer cells . Sanitation: "The West Nippon Expressway Co. has been spraying detergent-free water laden with ultrafine bubbles to clean toilets in parking areas since 2009. The method cut water use by about 99% and cleaning hours by about one-third, the company said, in addition to reducing odor." The aim of this study was to validate the use of oxygen nanobubble water to overcome resistance to radiation in cancer cell lines via the suppression of the hypoxia-inducible factor 1-α (HIF-1α) subunit. The cancer cells grown in oxygen nanobubble-containing media exhibited a clear suppression of hypoxia-induced HIF-1α expression compared to the cells grown in media made with distilled water. We show that 5-methylcytosine (5mC) hypomethylation in hypoxic regions of a tumor can be reverted to enhance cancer treatment by epigenetic regulation, using oxygen nanobubbles in the sub-100 nm size range, both, in vitro and in vivo. Oxygen nanobubbles were effective in significantly delaying tumor progression and improving survival rates in mice models. Oxygen ultra-fine bubbles (OUB) saline injection prevents bone loss of glucocorti\coid-induced osteoporosis in mice, and OUB inhibit osteoclastogenesis. Oxygen-nanobubble (NB) water significantly (p < 0.05) reduced cumulative CH4 emission during the rice-growing season by 21%. The amounts of iron, manganese, and arsenic that leached into the drainage water before full rice heading were also reduced by the NB water. Air-nanobubble water significantly promoted the height (19.1 vs. 16.7 cm; P<0.05), length of leaves (24.4 vs. 22.4 cm; P<0.01), and aerial fresh weight (27.3 vs. 20.3 g; P<0.01) of Brassica campestris compared to normal water. Total weight of sweetfish increased from 3.0 to 6.4 kg in normal water, whereas it increased from 3.0 to 10.2 kg in air-nanobubble water. In addition, total weight of rainbow trout increased from 50.0 to 129.5 kg in normal water, whereas it increased from 50.0 to 148.0 kg in air-nanobubble water. Free oral intake of oxygen-nanobubble water significantly promoted the weight (23.5 vs. 21.8 g; P<0.01) and the length (17.0 vs. 16.1 cm; P<0.001) of mice compared to that of normal water. We have demonstrated for the first time that oxygen and air-nanobubble water may be potentially effective tools for the growth of lives. In presence of the Radio Frequency (RF) field, the saline solutions ignites and combusts with an intense flame. Approximate power for most of our experiments was ~ 300 W as recorded by the output dial of the RF generator. The results raise a number of questions that warrant further pursuit. At the very least, they open the possibility that ordinary water might have the capacity not only to store charge but to permit effective recovery of charge. Water may well be an unexpectedly effective charge-storage medium. Water in the exclusion zone is negatively charged, while the bulk-water region beyond the exclusion zone contains positive charges. The potential difference between the two regions is 100 to 200 mV, depending on the particular hydrophilic surface. NaCl–H2O (salt water) solutions of concentrations ranging from 1 to 30%, when exposed to a polarised radiofrequency beam at 13·56 MHz at room temperature, generate an intimate mixture of hydrogen and oxygen which can be ignited and burned with a steady flame. Higher prenatal fluoride exposure was associated with lower scores on tests of cognitive function in the offspring at age 4 and 6–12 y. In the childhood period, exposure to this element may cause permanent damage to the functions of all brain structures. Among both young and adult specimens exposed to the toxic influence of high doses of fluorine, we can observe impaired ability to learn, disturbances in memory and information processing and behavioural problems. Results of our pilot study showed that moderate and severe dental fluorosis was significantly associated with deficits in WISC-IV digit span. Children with moderate or severe dental fluorosis scored significantly lower in total and backward digit span tests than those with normal or questionable fluorosis. These results suggest a deficit in working memory. The standardized weighted mean difference in IQ score between exposed and reference populations was –0.45 (95% confidence interval: –0.56, –0.35) using a random-effects model. Thus, children in high-fluoride areas had significantly lower IQ scores than those who lived in low-fluoride areas. See here for a more extensive collection of studies on the effects of flouride on health and IQ. The development and adoption of a new holistic water management paradigm, a paradigm that acknowledges, seeks to understand, and in some instances to reverse, humanity’s impact on the ‘small water cycle’, could be one of the most important challenges we face. The good news is that at its most fundamental level, the change in approach can be summarised in one short sentence: a shift from the current paradigm, where evaporation is viewed as a loss to the system to be avoided at all costs, to a new paradigm, where evaporation is understood and respected as the source of all precipitation and managed accordingly. The hypothesis is proposed that pre-biotic bacterial cell(s) and the first cells capable of growth/division did not require a cytoplasmic membrane. A gel-like microscopic structure less than a cubic micrometer may have had a dual role as both an ancient pre-cytoplasm and a boundary layer to the higher-entropy external environment. The gel pre-cytoplasm exposed to radiant energy, especially in the infrared (IR) region of the EM spectrum resulted in the production of an exclusion zone (EZ) with a charge differential (-100 to -200 mV) and boundary that may have been a possible location for the latter organization of the first cytoplasmic membrane. Pre-biotic cells and then-living cells may have used hydrogen as the universal energy source, and thermosynthesis in their bioenergetic processes. Tthe charge-separation phenomenon identified here may be something akin to an initial step in photosynthesis — a kind of “generic” first step that occurs next to many hydrophilic surfaces rather than only next to those specific to green plants or bacteria. This process could represent not only a potentially significant energetic pathway that may be broadly relevant for nature, but also a central protagonist for the origin of life. It is generally thought that the impact of surfaces on the contiguous aqueous phase extends to a distance of no more than a few water-molecule layers... We report here that colloidal and molecular solutes suspended in aqueous solution are profoundly and extensively excluded from the vicinity of various hydrophilic surfaces. The width of the solute-free zone is typically several hundred microns. Such large exclusion zones were observed in the vicinity of many types of surface. At Spira, our experimental farm, we are studying the potential of nanobubble technology to improve the quality of the water given to crops, with the goal of replicating other researching showing crop yield improvements by as much as 20% . Our research is ongoing, and we hope to publish it in the near future. Kakuichi Institute is also experimenting with cymatic effects on agricultural yields, through the application of cymatic frequencies to water that is fed to plants. The study is currently ongoing, though preliminary results are exciting. We intend to publish our Cymatics and Agriculture research in the near future.